Three barely felt like a family. It felt like it did not count. Like we were unfinished. Incomplete. There was always a gap at the table, room to set places for others. Visitors were few and far between. Mostly, there was only me. 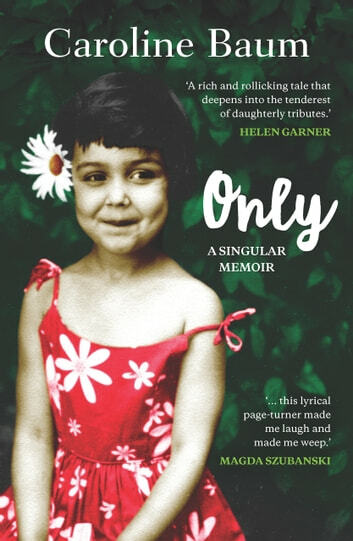 Only is a memoir of an unconventional childhood that explores what it means to be an Only Child -- as both child and adult. Also what it means to be the daughter of two people damaged by trauma and tragedy, particularly a domineering and explosive father. Secrets are revealed and differences settled. Caroline Baum's moving and gripping memoir is for everyone who has felt they are the fulcrum of a seesaw, the focus of all eyes and expectations, torn between love and fear, obedience and rebellion, duty and the longing to escape.It is also for anyone who has felt the burden of trying to be a Good Daughter -- what that means and why it is so hard. Revelatory, lyrical and unflinching.